Agile approaches create more opportunities for jelled, performing teams. And, many teams find agile approaches tease them farther apart, not together. Often, that's because the people are battling a system that reinforces individual work. Create Your Successful Agile Project helps team leaders and teams understand the work they need to do and how to show other people their progress in that work. No one can change a system if they can't see it. See the table of contents on the Prag site right now: Create Your Successful Agile Project: Collaborate, Measure, Estimate, Deliver. 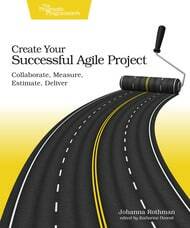 Please do check it out and see if the ideas there might work for your agile project.